Comments: Makes an excellent hedge, screen, container and ground cover plant, particularly in part shade. All parts of natal plums are poisonous except for the ripe fruit. Can tolerate some saline conditions, but cannot tolerate hard freezes. 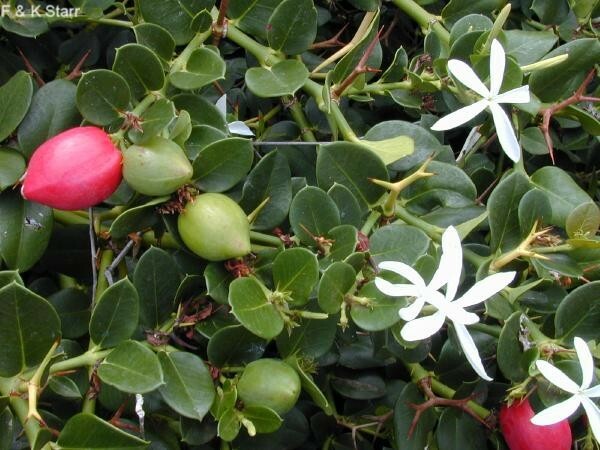 A popular shrub in warm climates where soils are sandy.